On Day 79 of our 120 Day Upper Room Prayer Campaign we pray for God to reveal His will to us and ask Him to get us positioned to step into it for the glory of His Name! Nothing is impossible for God, yet being just as He is, He is bound by His own words that what He has said He will do whether it be in reward or in judgment, He must do. James (the brother of Jesus being a son of Mary and Joseph) gives very clear instruction on seeing God move in the miraculous. In previous verses he says, “if there are any sick among you, bring them before the church, anoint them with oil, have the leadership pray over them, and this prayer of faith will move in healing upon them.” Faith requires that we believe in what God says and how He says to do things, it is trusting that He knows best enough to obey His instructions. The passage then continues going a bit deeper into why those prayers often don’t work, then gives us an absolute assurance that they can, if we will have the faith and humility to meet God’s conditions for it. First he states that we need to be humble enough to confess our faults/sins (failures), and seek Godly friends to pray with about these things with you as you press God for strength in repentance. God is clear that He only gives His grace to the humble because only the humble seek Him, trust Him, depend on Him, and obey Him. Grace is God’s divine favor, power, and influence, all of which are needed to preform the miraculous, and it is only given to the humble. So let your first focus be on cultivating humility toward God and reverence for His presence. Humility and reverence will cause you to trust and obey His voice and leading which will by default cause you to walk in righteousness (doing what He says is right instead of what you think or feel is right). Therefor, walking in righteousness is the second requirement to moving in the miraculous. If you have faithfully repented of (turned away from/ceased to do) all known sins (which are failures to obey God’s voice) as God reveals them to you, and are walking in righteousness (obedience), then the third requirement is fervent prayer. James tells us in no uncertain terms that Elijah was a man just like us. He was not super human, he was not made any different then you are I, nor were the temptations he faced any less. He simply chose to trust God, obey His voice, turn away from temptations to sin, walked in righteousness, and prayed fervently. He simply met all the conditions that God had laid out and if we will do the same, then we too will walk in the miraculous even as he did, for God is no respecter of persons, nor has His power diminished. God has not changed, He is the same yesterday, today, and forever. What He does for one He will do for others if they will meet the same conditions. If they walk in the same humility, exhibit the same faith, endurance, selflessness, and trust. God is a good father that desires to give good gifts to His children. Yet we tie His hands from doing so because He, being just, cannot move against His own words. His word says that He resist the proud, therefor can He not work with the proud, only against them. His word says that He does not hear the prayers of the unrighteous, therefore He cannot move on their behalf. And above all, He cannot reward unbelief, therefore if we do not trust Him enough to seek His voice and believe it, no matter what we see, think, or feel, then He will not move; for it was because of unbelief that He withheld His promise from the Children of Israel in the wilderness until a generation arose who were willing to meet the conditions so that He could finally bring the blessing forth. 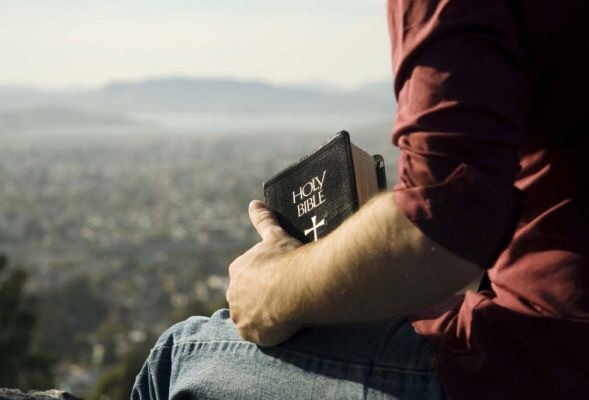 No, nothing is too hard for God, nor has He changed or diminished, only our faith has, our willingness to submit to God and resist the devil; to seek, listen, hear, trust, and obey God at all cost. The conditions are simple, humble yourself, listen to His voice, repent of failures to do so, trust what He says, walk in that trust no matter what, and pray fervently. In other words, believe, really believe, and these signs WILL follow those that believe. Oh how beautiful our God is. Great and mighty, tender and sweet. He is love itself. He is gracious and kind, yet He is also terrible in power, authority, and judgment. He is a God over angel armies. He is a just judge enacting sentences for sin. 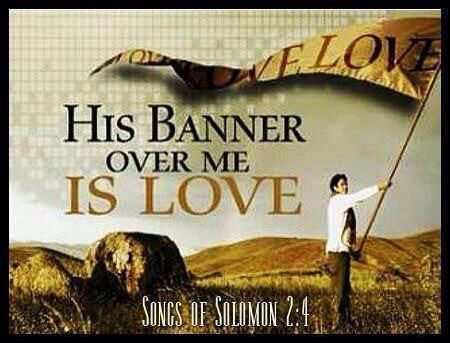 Yet over all that He does and/or allows to be done, His banner is love. God does nothing that isn’t rooted in love. His grace and mercies are rooted in love for all. His judgments and wrath are rooted in love for the faithful. His corrections and even His stepping back and allowing the enemy to shake us is rooted in love for the straying unto repentance. God is a good father and thus exhibits all the characteristics of a good Father. Love, kindness, grace, mercy, correction, wrath, direction, lessons; and once raised up and instructed in truth He lets you choose to trust His wisdom and obey what He has taught you or trust in your own wisdom, or that of those around you. If you choose the latter, He will step back and let you walk out the consequences of that decision in the loving hope that you might (through the consequences) see the folly of it. In the end everything He does, doesn’t do, or allows to be done is rooted on love. This is why you can know those that are rooted in Him by their fruit. If someone is truly connected to the root of love they will produce the fruit of love, for God is love and so are His true children. Therefore, if one does not show forth the continual fruit of love, then they are not connected to the root of love. No matter what they say, or imagine, the fruits do not lie. God is love, and so are His children. How often I see the body of Christ sitting idle when God has sent forth the call for movement. All the more often I see frustrated congregants full of ideas and vision, coupled with frustrated overwhelmed pastors who are slap out of stamina. I find this to be the result of one main issue. The Church has forgotten who they are. 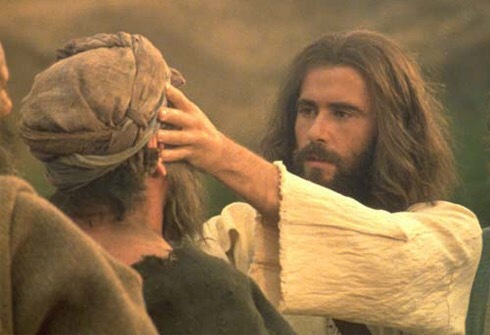 Here we see Jesus asking a common man, a fisherman, that famous question; “who do you say that I Am“. 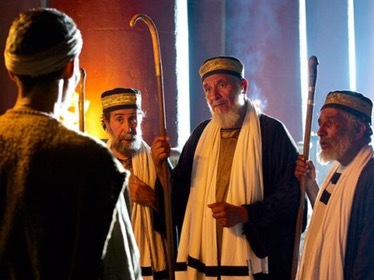 Peter was not a priest, he was not a Levite, a rabbi, or a man of any title for that matter, yet in that moment God moved upon his heart with revelation. God used a common man to profess this God given revelation that Jesus was the Christ, the savior of the world, the son of the living God! Then Jesus pleasingly professes that upon this, the revelation of God and the proclaiming of the deity of Christ being given to, and boldly professed by common men, (whomever would believe as Peter had believed) would the foundation upon which the Church of Jesus Christ be built! Brother, sister, the church is not a building, the church is not a pastor, a worship team, or the staff, the church is you. If you have received the revelation from God that Jesus is the Christ, the chosen and anointed one that came to take away the sins of the world, the Son of the living God, and are willing to boldly profess that revelation, then you are the church! Therefor, is every person who has been saved called to preach, maybe not to pastor for Paul said that to some was the call to pastor, to some to teach, to some to evangelize, to some to prophesy, and to some to Apostle (Ephesians 11:4), yet to all is the call to preach. If you have received the revelation of who Jesus is and what He did for you, then you have also been called to confess it, or speak about it to others. On this is not only salvation founded but the true church of Christ as a whole. So here in lies the disconnect. Many today believe that it is their job to believe but the pastors job to speak and to do. Therefor, every time the Lord puts something on their heart they go to the pastor and tell him to do it. Multiply that by the number of people in a church and you can begin to see the problem. Frustrated congregants not seeing what God has ignited in their hearts being done, led by frustrated pastors so overwhelmed by demands to do what God is telling everyone else to do that they can’t do what God is telling them to do. All because many have lost sight of the reality that your pastor is not the church, you are. If God put it in your heart then it’s for you to do, go do it. If God lays a person on your heart, go visit them. If He lays a charity or mission on your heart, go do it. You are the church. The pastors job is to seek the Lord for a word that will confirm what God is speaking to you so that you can better do what God is telling you to do. God did not call you out of darkness to be a pew warmer, He called you out of darkness to be the church. Not to be in a church, to be the church. Now go shine your light before men. 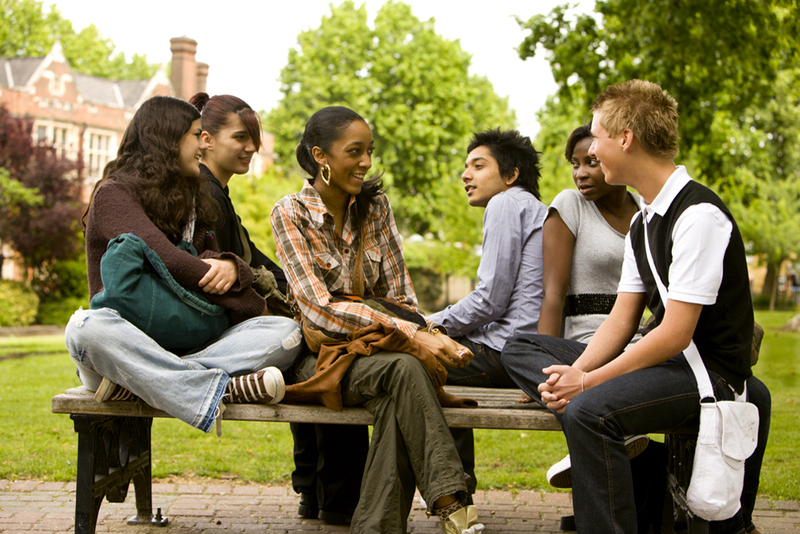 Ask yourself what you would like to see your church doing, and go do it. Your pastor, and more importantly your God will thank you for it.